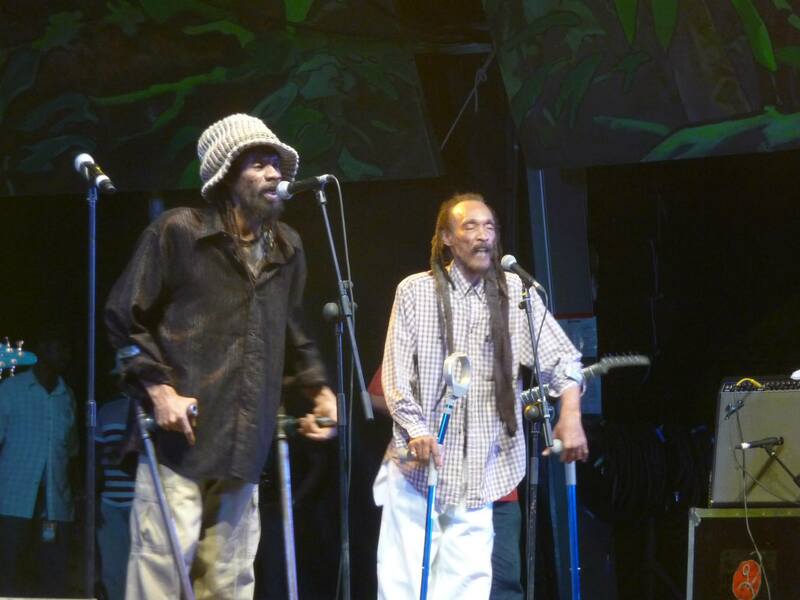 For many reasons, this eight-day festival is a must for reggae enthusiasts. 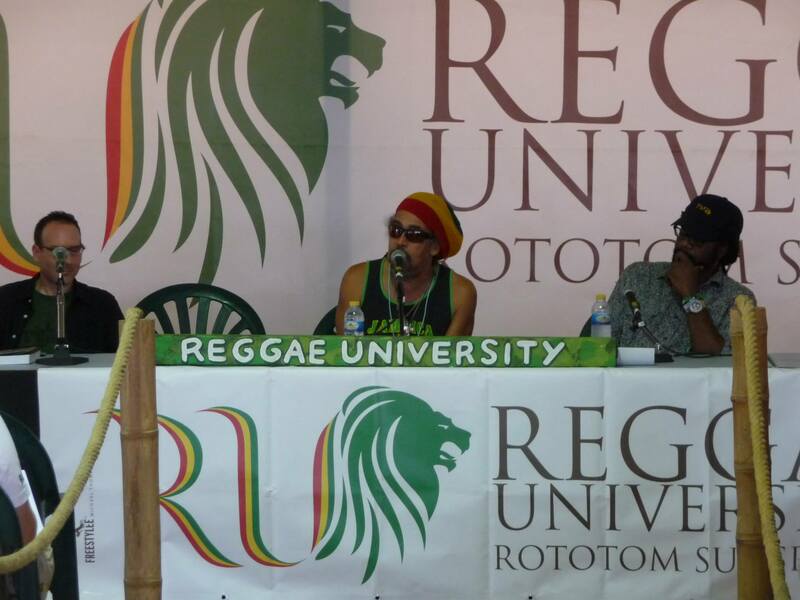 It showcases the best in emerging and established artists over several stages, has daily reggae universities, a film festival, book launches, great food, and an ‘off’ party on a packed Mediterranean coast. This all happens under the Spanish mid-summer sun with a fantastic, family-friendly vibe and a lot of extra-curricular activities. It’s neigh on impossible to see even half of what is going on, and hopefully this stage by stage report will show why. 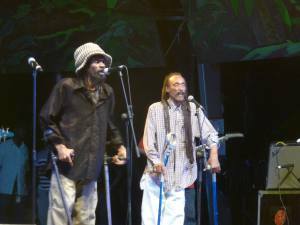 Rototom’s main stage, which can host anywhere between 40-60,000 people, kicked off with a 40th anniversary special from Third World, who ran a great session of classics, an apt opening for any festival. I watched from a record shop in the rear of the huge dance area, and all of us were singing along whilst picking out records. The other big act on the main stage was Chaka Demus and Pliers. I was intrigued to see them, but it ended up being a bit of a lacklustre vocal performance, which drove me to other stages for the rest of the first night. The second day was a huge step-up. First was a high energy group from the capital, Madrid, called La Pandilla Voladora, a bizarrely dressed group with masks on. This was followed by a great show by poster-boy of the Jamaican reggae revival, Protoje, and finally a stellar live performance by big daddy U-Roy who closed the main stage with a live band. There were some large acts on the main stage on the third and fourth days; Israel Vibration backed by the legendary Roots Radics, who for me were the pick of the backing bands at the festival, and a great showcase of Iberian musicians which featured the big Spanish combo of Roberto Sanchez, Benjammin, Irie Soljah, and Senor Wilson, all mic juggling at various stages. Mr Vegas and Groundation rounded off the fourth night on the main stage, however I only managed to catch a song or two from each. 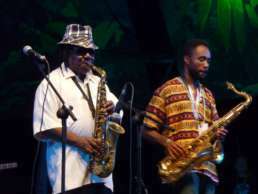 As big name artists like Alborosie and the Skatalites rolled round on following nights, the numbers begun to rise. Richie Spice put in a great performance on day six, I was really pleased to see his unique vocal performance, and as he was the first act of the night it meant we could be right up front. The last two nights on the main stage were massive, Lloyd Parks and the We the People Band backed Horace Andy, Leroy Sibbles, and John Holt back-to-back for a classic sing-along night. Horace Andy’s vocal performance was so superb. On the second to last day, the vibe in the place completely changed when Damian Marley arrived. 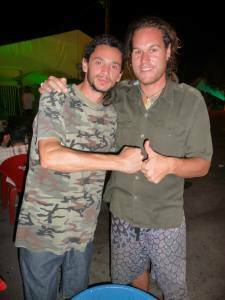 I thought Alborosie had a huge impact on the place, but when Marley ventured out among the crowd for a few hours visiting restaurants and the house of Rastafari, there was a mob a hundred strong around him and a posse like I have never seen. 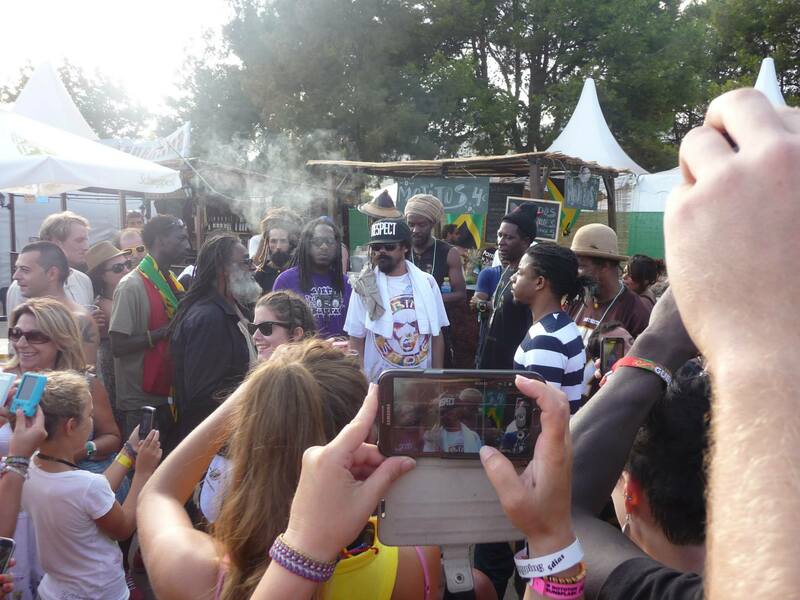 I was told the Marley Family are royalty at this festival and this was clear proof. I saw part of his performance, but as there was an expected 34,000 people in attendance that night it was hard to get close. In fact I was in the same record shop full of people raising their lighters in the air when he dropped his Welcome to Jamrock anthem. 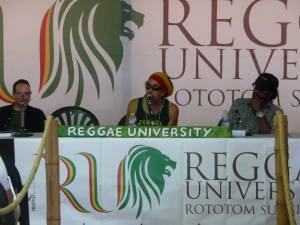 Over the eight days, Rototom promotes emerging bands and selectahs on the Showcase stage. 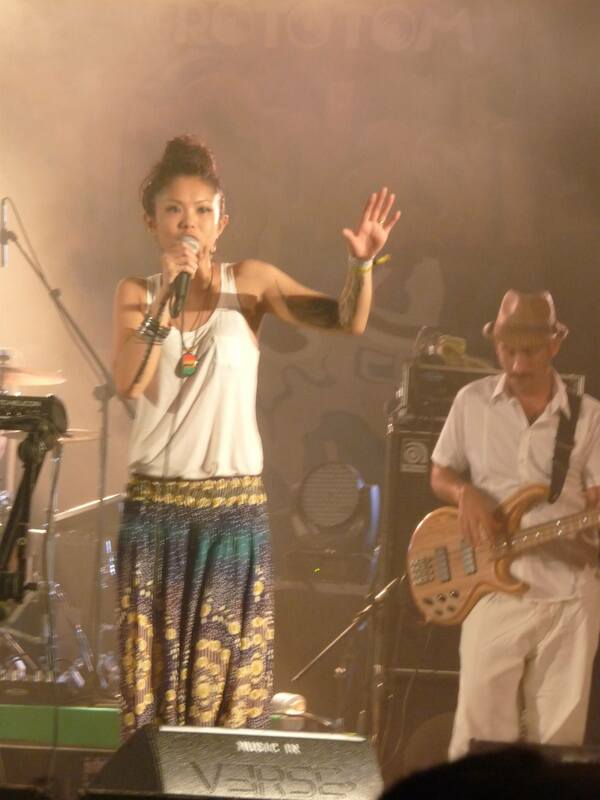 Here I caught China’s wicked vocalist ChaCha, Latina American Rototom contest winners Royal Rudes on a stage hosted by the energetic Valencian MC Supa Basie. This stage was a bit of a crowd favourite. Annually Earl Gateshead and Natty Bo rock it a few nights at every festival, and this year they packed it out, as apparently did a Japanese Ska band called Skaff-Links. I showed up just after they finished and it was impossible to get near the stage, as the whole place was still jumping round to a Japanese female ska selectah who played after to the full crowd. Just around the corner there was also the Dancehall Station, where various sound killers like Poison Dart, and Spanish favourites Dance Crasher, played out their collections. The feature here was on the third night, with a much anticipated Ricky Trooper vs Tony Matterhorn Clash, hosted by none other than Rory Stone Love. 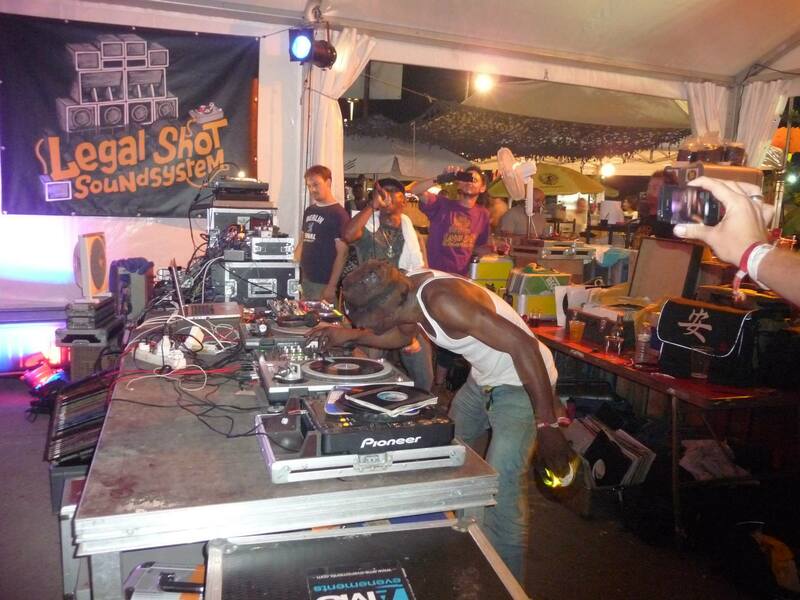 It attracted a big crowd, but in a festival where Aba Shanti-I is playing on a 24-scoop dub station at the same time, it is hard to stay at a place like the Dancehall Arena where you only get thirty seconds of a sound followed by yelling. Aba Shanti-I provided an incredible session, sound and vibe. At 6am when he was scheduled to turn off the sound he dropped Dubkasm’s Victory dubplate and the place went wild, every time he re-ran it (three times in total). 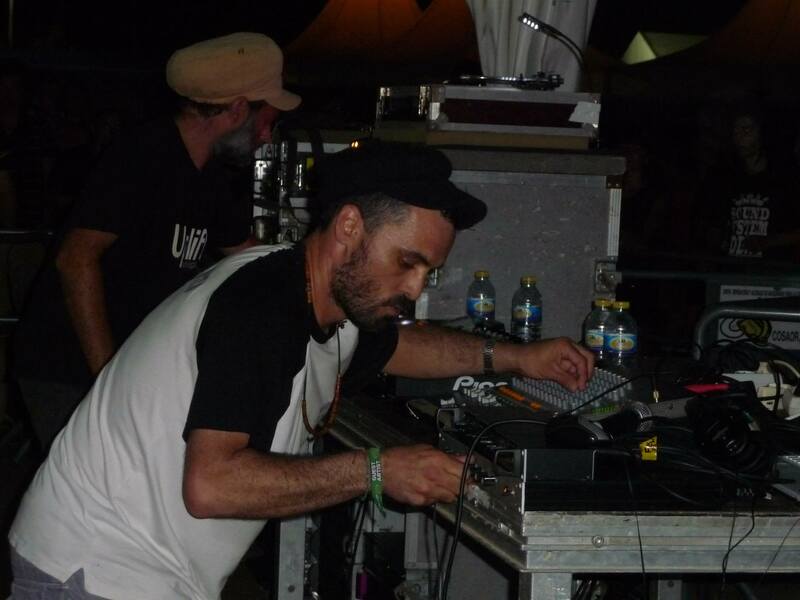 This was for me, and many Dub Station Addicts, my second home at the festival, and in some ways the best area. Here you could have a crew like Legal Shot running a 12-scoop sound system, a cafe serving Ital and Caribbean food, a record shop and a bar. The selectahs come from far and wide, including Shinehead, who is part of the Legal Shot outfit. They play daily in the record shop or on the sound system, and also bring in artists Prince Jamo and Solo Banton to chat on Legal Shot riddims. There were sounds like Firehouse, Jahtari, Raggattack, and Australia’s Monkey Marc in session, often on two nights in a row with completely different sets. There was also hip-hop, Afrobeat, Cumbia and dance music. The vibe here was especially good, and my moment of the festival happened here the night Monkey Marc was playing. He was renegaded off the decks by Shinehead who had been challenged to a clash by Ricky Trooper, the two taking turns chatting on famous riddims, and jumping about in a true Jamaican Yard fashion to a crowd of about fifty. The Dubstation for me is the finest place to listen to new music at the festival. A cutting-edge opening night from Don Fe and Prince Jamo showcased a whole bunch of recent and future releases out of Black Rose, Don Fe’s and Lone Ark Studios. This opening duo were for me were another highlight of the festival. My good friend Raggattack Super Power mashed up the dancefloor and had the local mic-men in a frenzy. 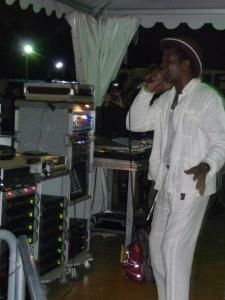 Roberto Sanchez came running to do a live vocal performance of his ‘Nice Up the Dance’ tune they have together, followed by Senor Wilson, U-Rie, Irie Soljah, Supa Basie, and finally Benjammin, who each rode the riddim. This lasted maybe an hour with a great rammed dance in session. This behaviour continued well into the night, with Blackboard Jungle taking over and the same crew jamming on the mic, plus a lovely live dub session from dub master Sanchez. Day three and conscious lyrics flowed from Solo Banton backed by Thunder Clap out of Bilbao. Finally Aba-Shanti took over at about 2.30am till sunrise. Another highlight was the following night with Iration Steppas and Ranking Joe and Danman on the mic. I have seen Mark Iration’s jump-up, fast-paced, session before and to be honest, I didn’t have nearly the energy for a three hour session of that. 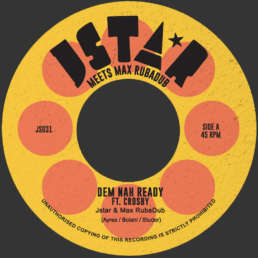 But my prayers were answered and he began with roots selections for the first hour, with Ranking Joe and Danman in combo style, before a return from Prince Jamo, Solo Banton and Shinehead for the next two hours of magic on the mic. Ranking Joe also invited ChaCha to chat and as soon as the Chinese lyrics flowed the place went wild. By the fifth day it was hard to believe we were just halfway through the festival, as Portugal Jah Version opened for Channel One. I took a back seat, literally on the edge of the Dubstation for this one, perusing records shops and catching up with the great community of people surrounding this special spot. Jahtari and Speng Bond produced a smashing live dub session on night six. Speng Bond danced and voiced his way through the night on almost all forth-coming Jahtari releases, featuring producers like Disrupt, Maffi, our very own Tapes, as well as four riddims from Mt Crooks, Naram. 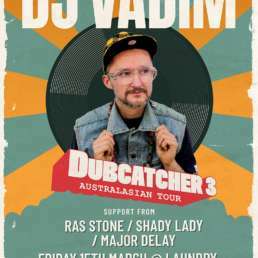 It was amazing to see a rammed dance loving back-to-back riddims from Down Under. Each and overtime Speng Bond would come with a unique version in true rub-a-dub, ragamuffin fashion. France’s OBF, who by the look of the loyal OBF t-shirt wearing crowd, had a huge fan-base, and they had everyone jumping up till dawn with Macky Banton and Shanti-D in session. Next evening was the turn of DigitalDubs from Brazil, who with YT again blazed fire on the Dubstation. I had a lovely chat with Marcus DigitalDubs about sound system culture in Brazil and he alluded to some big sessions his own sound system has in Rio De Janeiro’s favelas and at Carnival. This is something we may see in my forth coming international sound system documentary when we travel there next year. 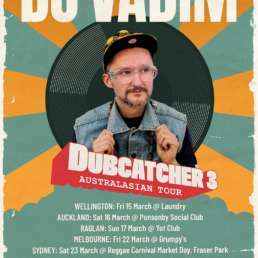 It seems that along with Europe and Australasia, there is a huge growth in the sound system culture in Latin America, and DigitalDubs is at the forefront of this. From new to old, and on the final night we were blessed to see two great sessions. Legal Shot Hi Fi from Bretagne, France, opened with dub after dub and with Shinehead in great form. This was before one of the godfathers of the UK scene, Jah Tubbys closed the festival with Gregory Fabulous, Prof Natty, and Macky Banton hyping the crowd up on Tubbys classic riddims. Jah Tubbys in his cool, calm, and very shy fashion hardly budged, and is one of the most intriguing personalities around the very friendly, family vibe that the DubStation provides. It is true that eight days of attending a festival could sound overwhelming, but the way this festival is run and the energy you can get out of it really makes it feel like a whole different world, a kind of Reggae City. Coupled with the fact I saw not one fight or even really any tension (apart from Sound Clash tension) in such a long period, shows that this formula will continue on. My advice is to get there at least once.